Until you’ve indulged in a Vestri chocolate, you don’t really know just how divine the cocoa bean can be. 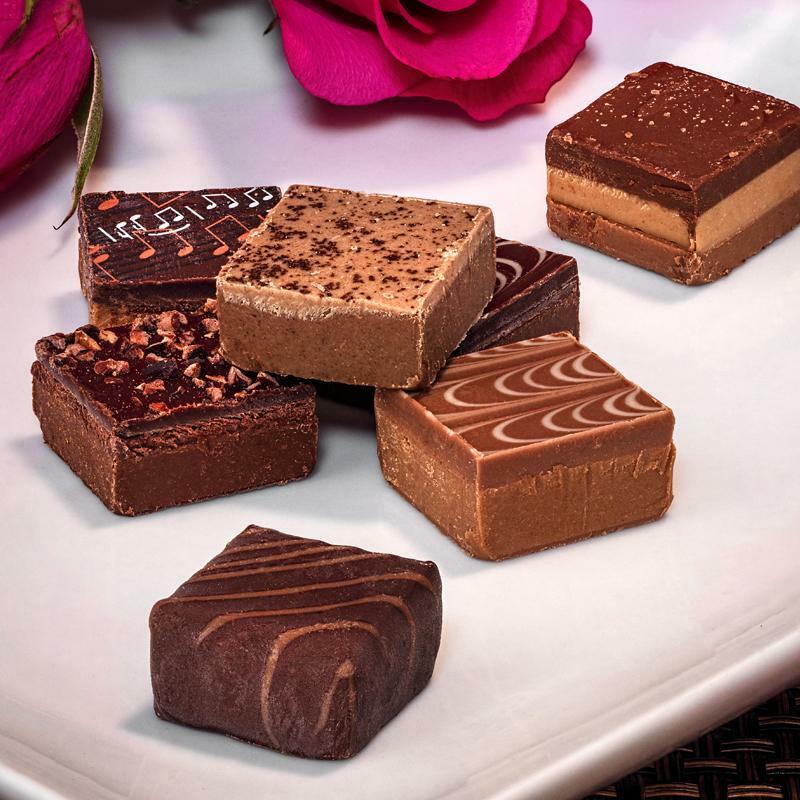 Starting his lifelong adventure with chocolate over 30 years ago, Danielo with his wife Stefania, and now with their children, Leonardo and Benedetta, lovingly craft what we firmly believe to be the world’s finest chocolates. Unlike other confectioners, Vestri produces its own cocoa on the family farm “la Finca Vista Alegre”, in Santo Domingo in the Dominican Republic. Grown without the use of pesticides and chemicals, they are able to control all aspects of production. The transformation of this home grown cocoa takes place in their workshop in Arezzo. 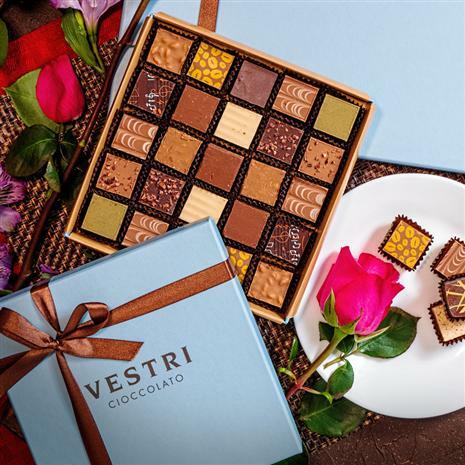 All Vestri confections are completely handmade, and are the result of years of experience and traditions handed down over time. Every ounce of flavor is coaxed from these pristine cocoa beans as they are toasted at low temperatures to retain depth and complexity. The delectable chocolates in the Vestri Praline Assortments treat your eyes as well as your palate. Infused with essential oils and flavor extracts and then hand decorated with artistic flourishes, you’ll find these edible masterpieces almost too beautiful to eat... almost. 2 pistachio cremino, 2 cocoa nib pralines, 2 honey pralines, 2 amarettopralines, 2 puffed rice pralines, 2 dark chocolate with salt pralines, 2 chilipepper pralines, 3 milk chocolate with hazelnut nibs pralines, 2 cermino, 2coffee pralines, 2 dark chocolate gianduia with almond pralines, 2 salt &sesame pralines.